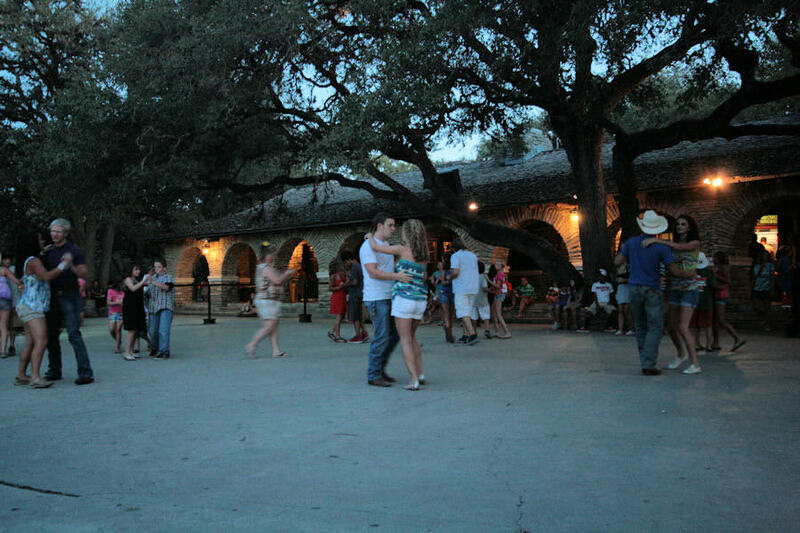 The Dance Floor -- You start with a Texas size dance floor in front of the concession building at Garner State Park in Concan, Texas, all built by the CCC from 1937 - 1941. Chairs are set out early and often for the entire time of the campers stay. 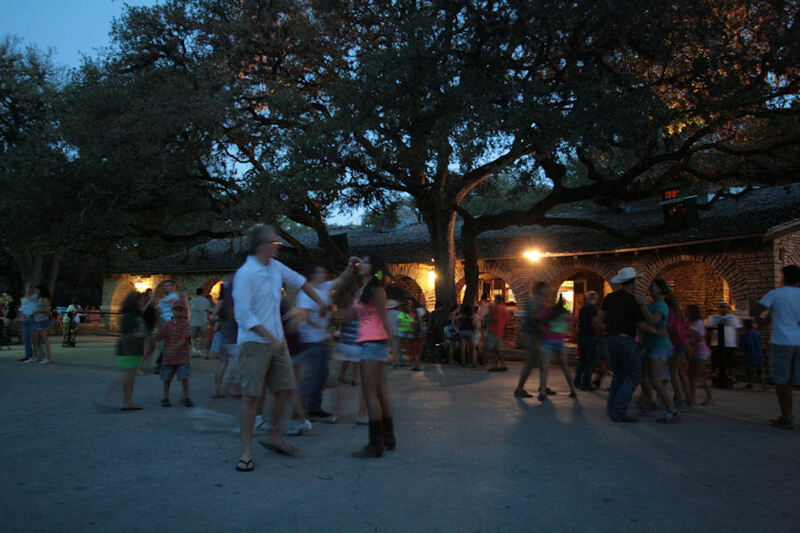 Let's Dance -- The dance floor begins to fill as country and western music twangs from the jukebox. Dads and daughters Moms and sons make a good portion of the dance floor action. All ages join in the fun. It's almost cool...so the teens begin to show up. and the night... goes on ..."
As many people watch as there are dancers on the floor. 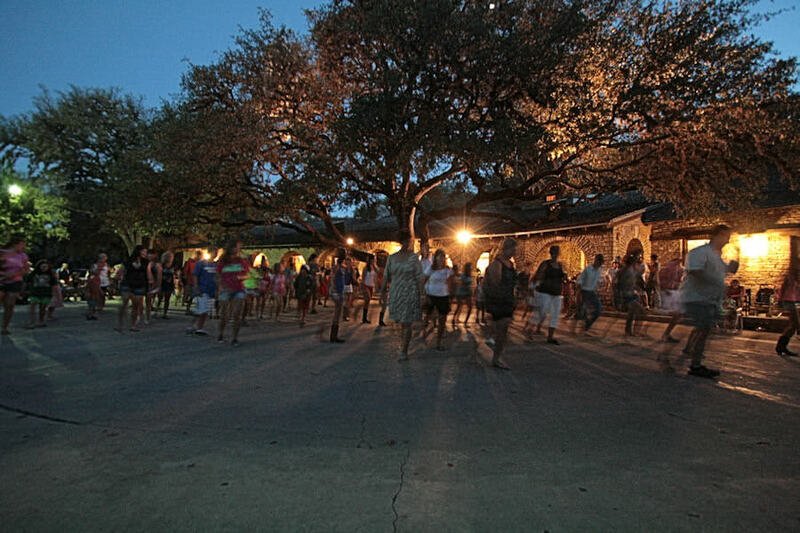 Line dancing... on special 'Garner' songs. This one is to 'putting on the Ritz'. 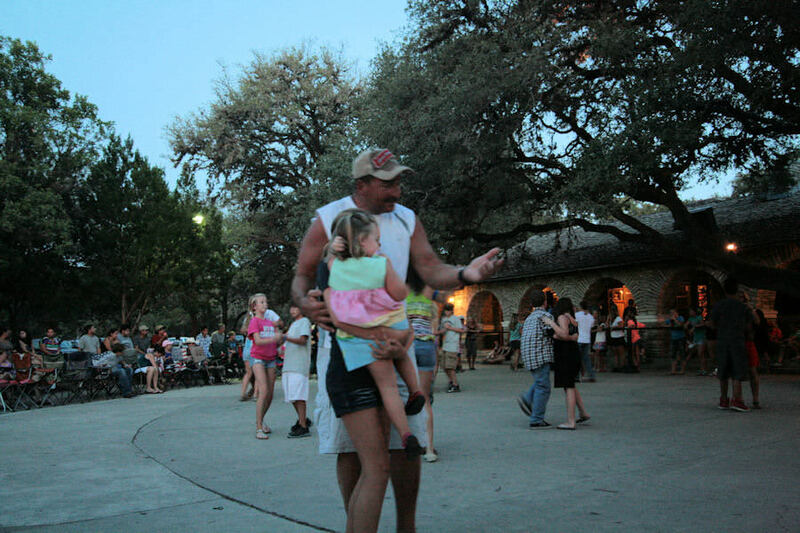 The bunny hop is still alive and well at Garner State Park. It is done to the music of Donny Osmond's 'Rockin Robin'. 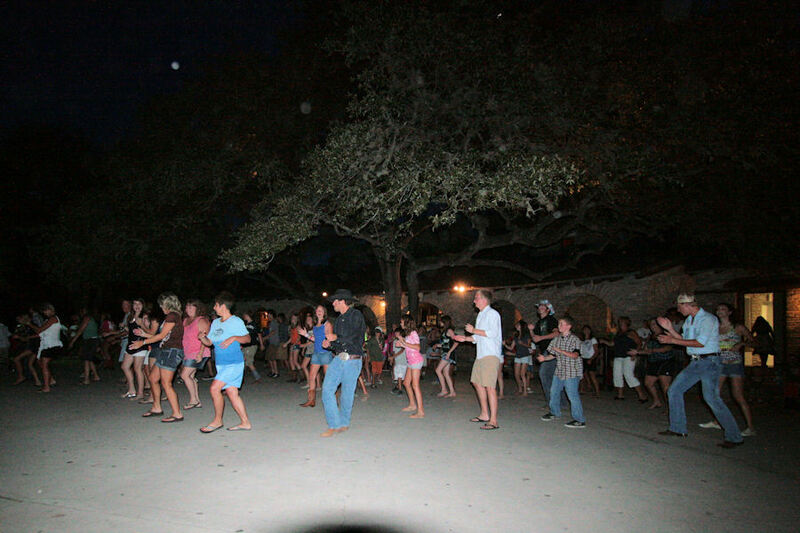 Line dancing... Everybody seems to know what to do. If you don't know the steps someone will teach you. Why I did not use a flash Nobody likes a flash on a dark dance floor. So I let them dance into the darkness. 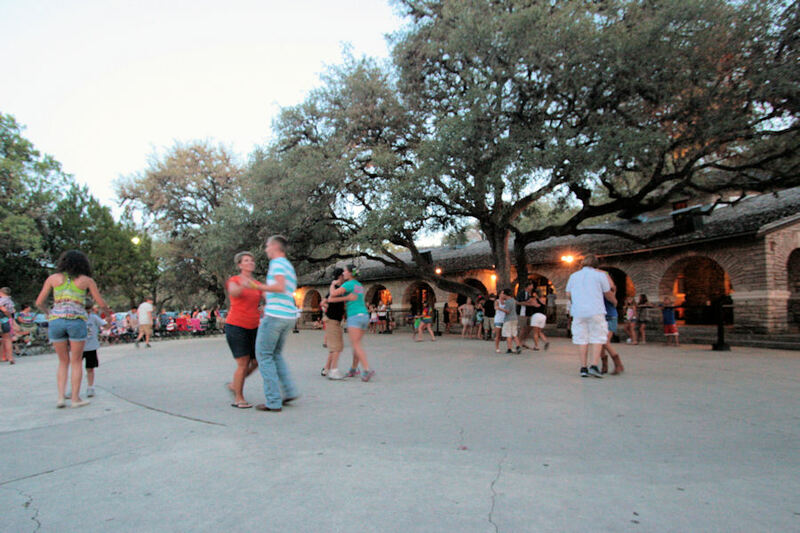 Ever since the depression era Civilian Conservation Corp (CCC) competed the construction of Garner State Park in 1941 there has been "The Dance". 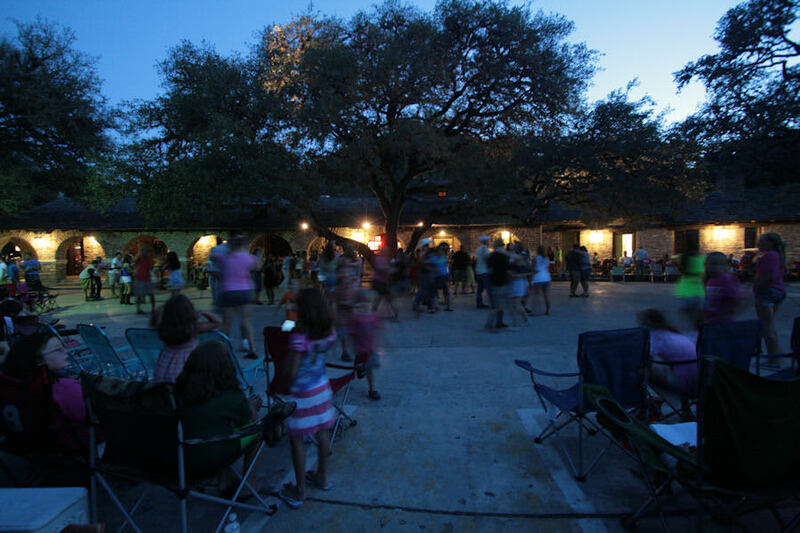 The large dance floor is located in front of the Concessions Building on the banks of the Frio River. 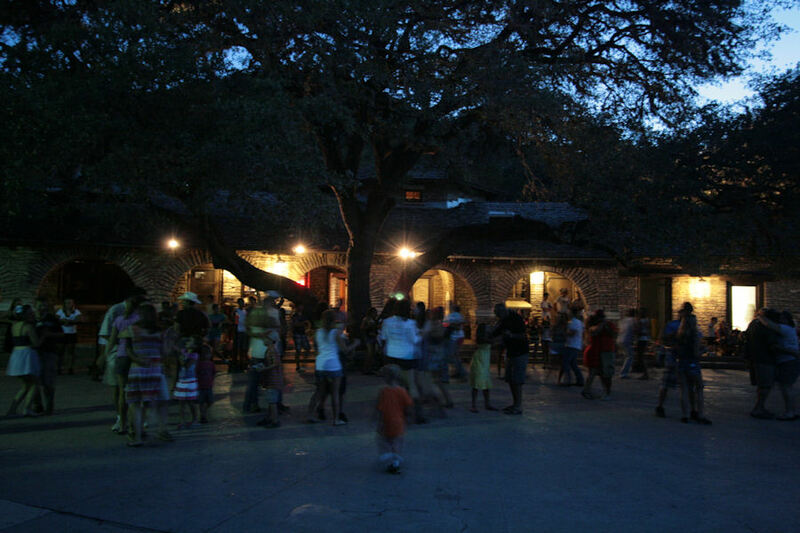 The building and the short wall around the dance floor is all made if hand shaped native Texas Hill Country stone gathered in the immediate area of the park. The music id provided by a Wurlitzer Jukebox. 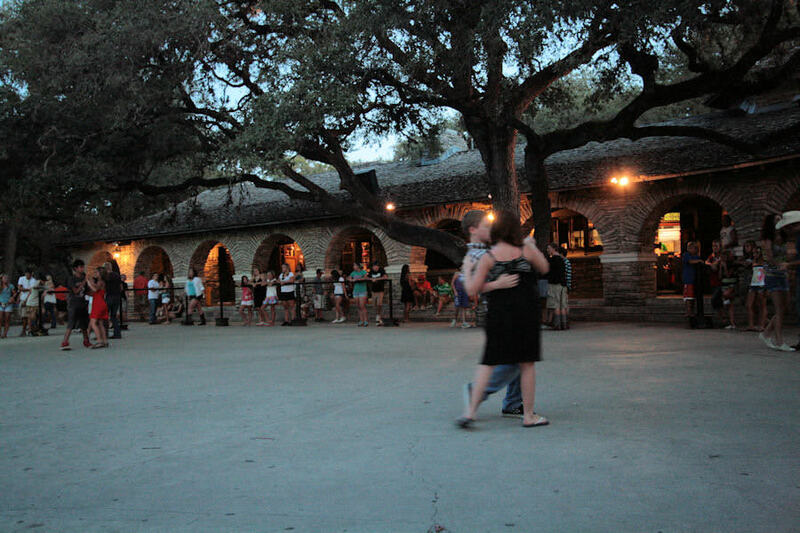 Currently dances are held nightly from Memorial Day weekend through Labor Day from about 8:00 or so until 11:00 PM. 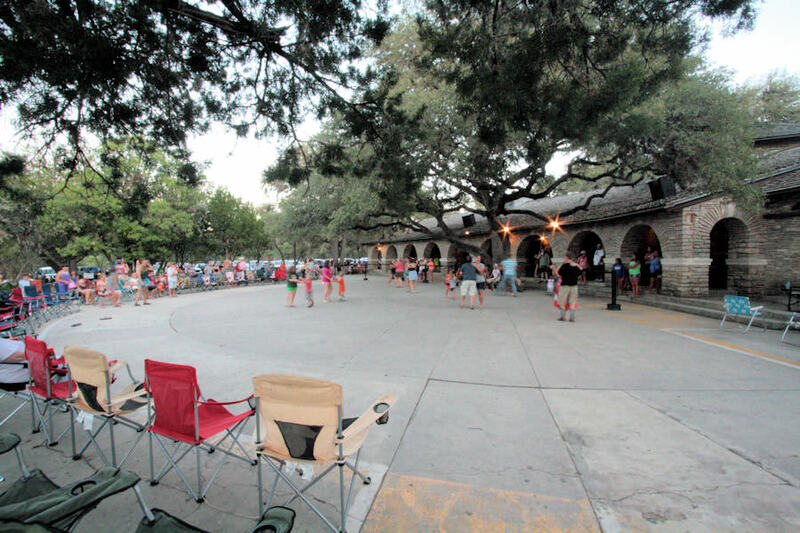 On this mid-August summer night the crowds were waning as the beginning of school was close at hand, Texas was in the middle of a major drought and daytime temperatures reached triple digits. 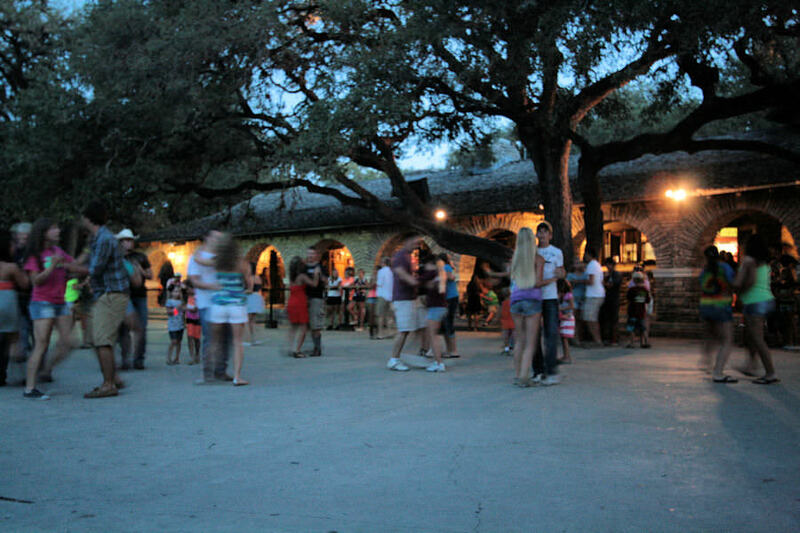 Subsequently most dancers arrive well after dark at a time where photography of any kind is difficult. The peak crowd on this night was about 300 on or around the dance floor. 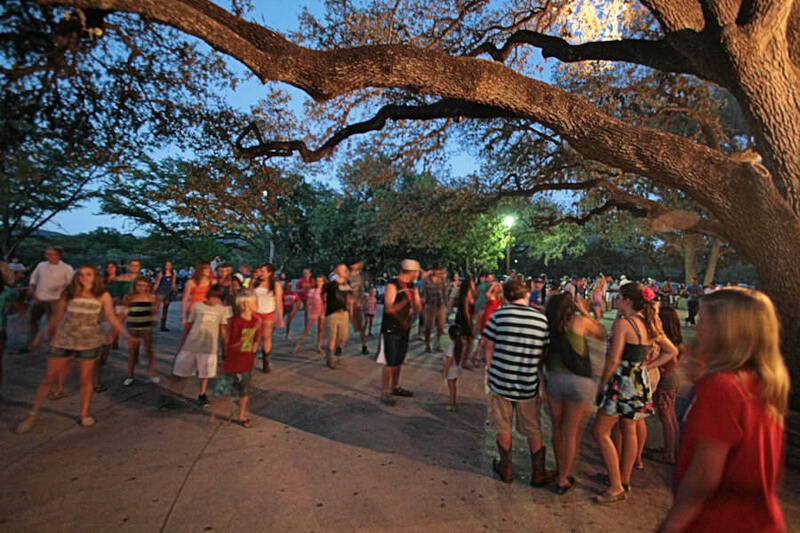 If you have never been to "The Dance" you need to put it on your to do list. If you have been, but not in a long time, plan on going again.